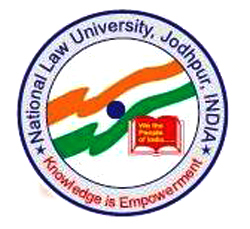 NLUJ Law Review is the flagship publication of National Law University, Jodhpur (NLUJ). The Review is student-edited and publishes one volume every year comprising of two separate issues. Each issue contains submissions by law students and professors, practicing lawyers and other members of the legal fraternity. Keeping with this tradition of publishing articles of relevance, the Editorial Board once again invites original and unpublished Articles, Notes and Book Reviews for the Review’s upcoming Issue 2 of Volume 2. Although the Review accepts submissions on a rolling basis throughout the year, the last date for a submission to be considered for publication in Volume 2, Number 2 is March 10, 2014. Since we review submissions anonymously, we request you not to include your name, affiliation, or any other identifying information in any part of the submission including the cover page, footnotes and headers. Instead, we request you to indicate your name and contact number along with any other information you deem necessary, in the body of the email. Resumes and biographical information are not required to be provided. You are required to provide data sets with all empirical works so that third parties may replicate the published findings. Exceptions may be made to this rule to the extent necessary to protect privacy or confidentiality.